President and CEO, Massachusetts Eye Research & Surgery Institution. Founder and President, Ocular Immunology and Uveitis Foundation. 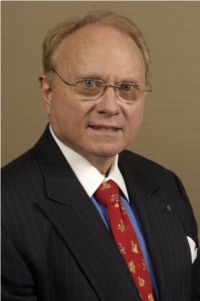 Dr. Foster was born and raised in West Virginia, received his Bachelor of Science Degree in Chemistry at Duke University, with Distinction and Phi Beta Kappa in 1965, and received his Doctor of Medicine Degree at Duke University Medical Center, in 1969, being elected to Alpha Omega Alpha. He trained in Internal Medicine at Duke University Hospital from 1969-1970, and at the National Heart and Lung Institute, at the National Institutes of Health in Bethesda, Maryland, from 1970 to 1972, during which time he also taught Internal Medicine, with an appointment as Instructor in Medicine at the George Washington University Hospital in Washington, DC. In 1972, Dr. Foster entered his Ophthalmology Residency training program at Washington University (Barnes Hospital), in St. Louis, Missouri, and having completed that in 1975, traveled to Boston to do two additional Fellowship trainings in Cornea and External Diseases, and in Ocular Immunology. He completed this training in 1977 and was invited to join the full-time faculty of the Department of Ophthalmology of Harvard Medical School, where he was a member of the Cornea Service and Director of the Residency Training Program at the Massachusetts Eye and Ear Infirmary. He began his independent research in 1977 and has since been continuously funded by grants from the National Institutes of Health. After 30 years on the full time faculty of Massachusetts Eye and Ear Infirmary, he established his own private practice – The Massachusetts Eye Research and Surgery Institution, a state of the art 12,000 square foot practice with its own chemotherapy infusion suite and phlebotomy lab. Dr. Foster continues to direct a research laboratory at the Massachusetts Eye Research and Surgery Institution (MERSI), through the support of his newly created research foundation, the Ocular Immunology and Uveitis Foundation, and continues his teaching activities and training fellows as a Clinical Professor of Ophthalmology at Harvard Medical School. He has also authored over 900 published papers and 9 textbooks.